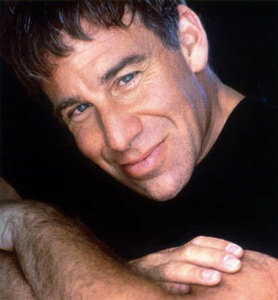 ACT of Connecticut is thrilled to announce that legendary composer Stephen Schwartz will serve as one of the Artistic Advisors for the new professional theater company. Schwartz’s mega-hit musical “Wicked" recently exceeded $1billion in ticket sales and has surpassed “Rent" as the 10th longest running show in Broadway history. Schwartz has composed several other hit Broadway musicals including “Godspell” and “Pippin”, and has received three Oscars, four Grammys, a Golden Globe, and a Tony Award. Simply put, Stephen Schwartz is the premier American musical theater composer of our time. ACT of CT has also announced that they will introduce the “Presenting Stephen Schwartz!” series, in which the theater will dedicate one show per season (for the first five seasons) to a Stephen Schwartz musical. The addition of Schwartz to the newly acquired Ridgefield Theater Advisory Board is nothing short of spectacular news for ACT founders Katie Tomlinson Diamond and Daniel C. Levine. “Stephen Schwartz is one of the most important composers working on Broadway and in film today. His shows have shaped the face of the American musical theater. For ACT of CT to have his support and backing, truly raises the bar. We are thrilled that Stephen will serve as one of our Artistic Advisors, and we are beyond excited to dedicate one show per season to one of Stephen’s masterpieces.” says Daniel C. Levine, Artistic Director of ACT of CT. Audiences can look forward to celebrating one of the greatest living musical theatre composers every year with special dedicated productions. A Contemporary Theatre (ACT) of Connecticut will take over the famous Schlumberger auditorium adding to the community’s anticipated cultural center that will span 30 acres of the former Schlumberger property. Produced and led by two accomplished theater professionals, this contemporary theater is likely to be the regional theater destination theatergoers choose. ACT will present limited engagement runs of well-known Broadway plays and musicals, as well as world premiere plays and musicals by the next generation of writers and composers. The theater company is expected to produce four shows per year, with each show including Broadway professionals and Ridgefield’s professional actors and actresses. In addition to fully produced, main stage productions, the producers will launch youth education classes, camps, workshops, and a conservatory program for high school students.